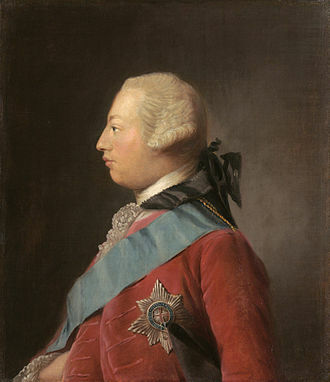 Wikimedia Commons has media related to George II of Great Britain. 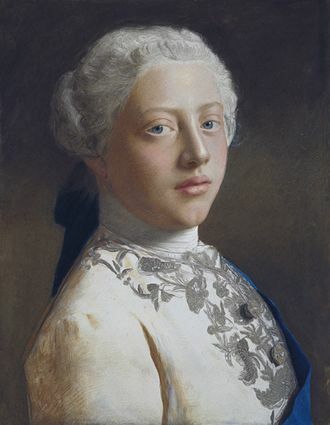 Princess Caroline of Great Britain was the fourth child and third daughter of George II. 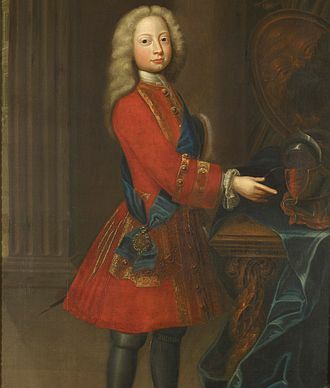 Princess Caroline was born at Herrenhausen Palace in Hanover and her father was George Augustus, Hereditary Prince of Hanover, the eldest son of George Louis, Elector of Hanover. 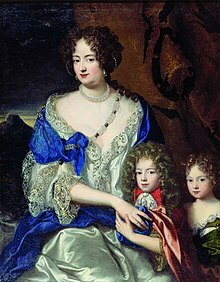 Her mother was Caroline of Ansbach, daughter of Johann Friedrich, as a granddaughter of the Elector of Hanover, she was styled Her Serene Highness Princess Caroline of Hanover at birth. 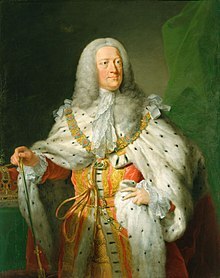 Under the Act of Settlement 1701, she was seventh in the line of succession to the British throne and she was baptised the day after her birth at Herrenhausen Palace. 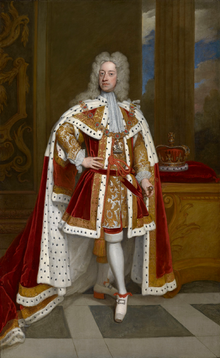 In 1714, Queen Anne died, and Carolines grandfather became George I, at the age of one year, Caroline accompanied her mother and elder sisters, the Princesses Anne and Amelia, to Great Britain, and the family resided at St Jamess Palace, London. 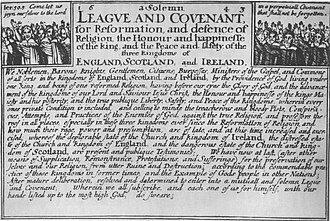 She was styled as a Princess of Great Britain, and was known as HRH Princess Caroline, a newly attributed list from January–February 1728 documents her personal expenses, including charitable contributions to several Protestant groups in London. 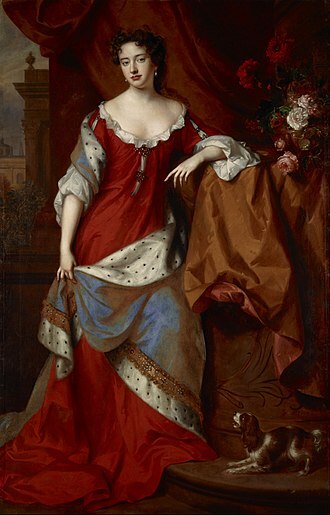 In 1722, at the direction of her mother, she was inoculated against smallpox by variolation, Princess Caroline was her mothers favourite, and became known as the truth-telling Caroline Elizabeth. When any disagreement took place among the children, her parents would say, Send for Caroline. 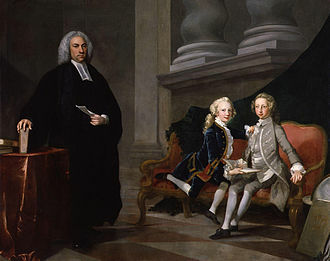 According to Dr. John Doran, The truth-loving Caroline Elizabeth was unreservedly beloved by her parents, was worthy of the affection and she was fair, good and unhappy. 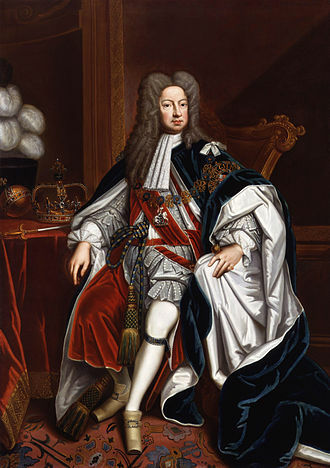 According to popular belief, Carolines unhappiness was due to her love for the married courtier Lord Hervey, who was bisexual, may have had an affair with Carolines elder brother, Prince Frederick, and was romantically linked with several ladies of the court as well. 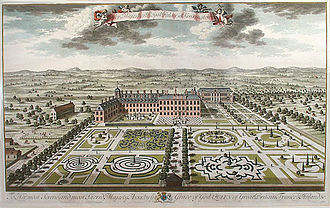 When Hervey died in 1743, Caroline retired to St. Jamess Palace for many years prior to her own death, accessible to only her family and she was so unhappy that she wanted only to die. 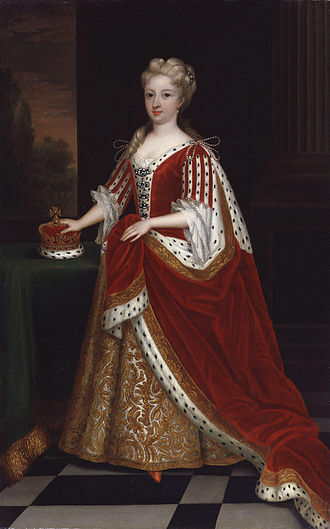 Princess Caroline died and childless, on 28 December 1757, aged 44 and she was buried at Westminster Abbey. Anne, Princess Royal and Princess of Orange was the second child and eldest daughter of King George II of Great Britain and his consort, Caroline of Ansbach. She was the spouse of William IV, Prince of Orange, Princess Anne was the second daughter of a British sovereign to hold the title Princess Royal. 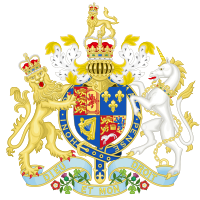 She was Regent of the Netherlands from 1751 until her death in 1759 and she was known as an Anglophile due to her English upbringing and family connections, but was unable to convince the Dutch Republic to enter the Seven Years War on the side of the British. Anne was born at Herrenhausen Palace, five years before her grandfather, Elector George Louis. She was christened shortly after birth at Herrenhausen Palace and she was named after her paternal grandfathers second cousin Anne, Queen of Great Britain. She learned German and English, and was music by Georg Friedrich Händel. Händel did not like teaching, but said he would make the exception for Anne. She remained a supporter, attending his operas and subscribing to his music. 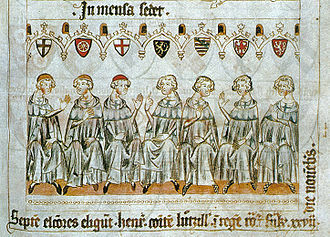 Convinced of its value, the Queen had her two younger daughters and Caroline, inoculated successfully. Annes face was scarred by the disease, and she was not considered as pretty as her two younger sisters. 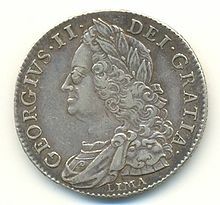 On 30 August 1727, George II created his eldest daughter Princess Royal, a potential marriage contract between Anne and King Louis XV of France was eventually discarded when the French insisted that Anne convert to Roman Catholicism. 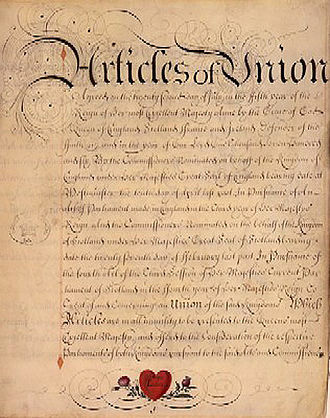 On 25 March 1734 in the Chapel Royal at St. Jamess Palace, she married William IV and she ceased to use her British style in favour of the title she gained by marriage. 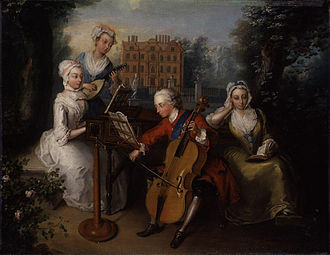 The music played on her wedding, This is the day was set by Handel to the princesss own words based on Psalms 45 and 118. Handel composed an operatic entertainment, Parnasso in Festa, in honour of her wedding which was performed for the first time at the Kings Theatre, London, on 13 March 1734, with great success. 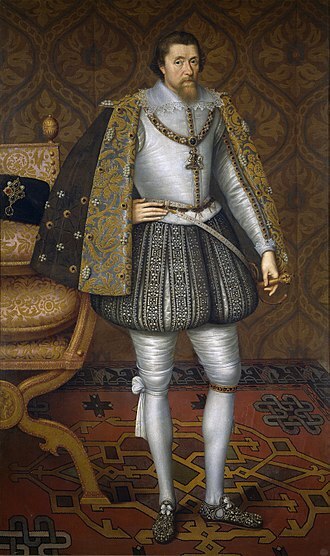 William had a deformity, which affected his appearance. 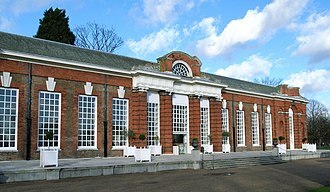 She quarreled with her brother, the Prince of Wales, about her choice and Anne sailed to Holland after a honeymoon at Kew. 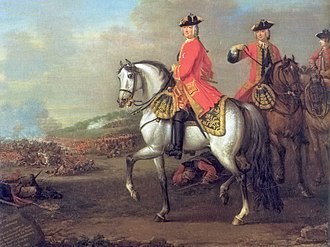 The Battle of Dettingen took place on 27 June 1743 at Dettingen on the River Main, during the War of the Austrian Succession. 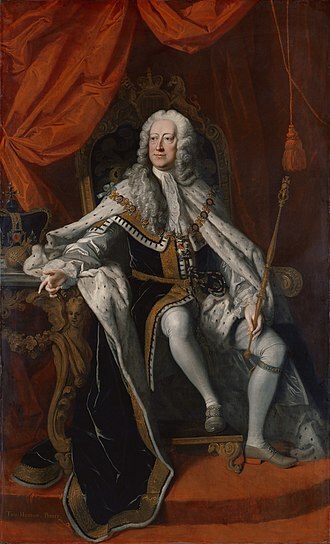 The British forces, in alliance with those of Hanover and Hesse, George II commanded his troops in the battle, and this marked the last time a British monarch personally led his troops on the field. 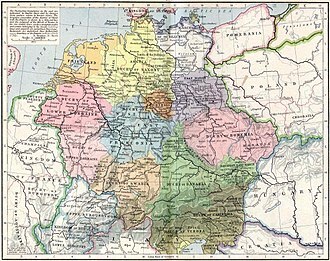 The battle straddled the river about 18 miles east of Frankfurt, with guns on the Hessian bank, the village of Dettingen is today the town of Karlstein am Main, in the extreme northwest of Bavaria. 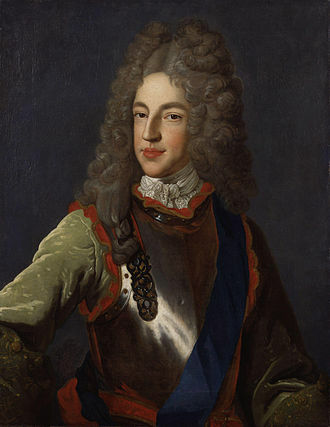 The British force of 17,000 men under John Dalrymple, here it joined the Pragmatic Army, some 50,000 strong at the start of the campaign, containing 16,000 Hanoverians with the balance made up of Austrians and Dutch. The army remained inactive until January 1743, when King George II ordered Dalrymple to march into Germany, leaving the Hessians. 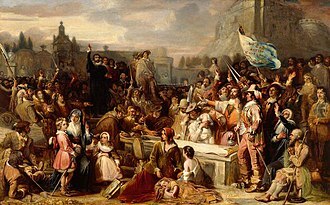 The internal divisions in the Dutch Republic delayed their army of 20,000 so that it too late to participate in the campaign. 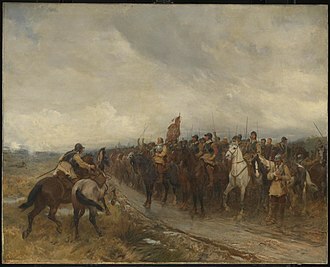 On 17 June the army set up camp between Kleinostheim and Aschaffenburg, accompanied by 25 squadrons of British and Hanoverian cavalry, arrived there on 19 June and took up overall command. This was the result of skillful maneuvering and harassment by a French army of some 45,000 led by Noailles, Noailles had lined the south bank of the Main with artillery that could fire without interference on the Pragmatic armys left flank. 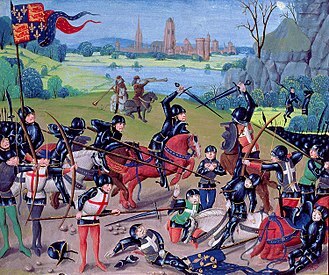 Meanwhile, about 12,000 French troops marched north on Aschaffenburg, thickly wooded hills to the Pragmatic Armys right flank prevented the allies from turning Gramonts position. 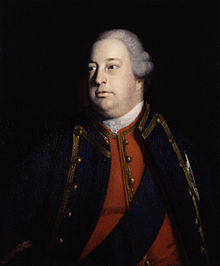 Some six hours passed with the British and Hanoverians trying to form an advance in this confined position, at one point, George IIs horse ran off with him, it was halted by Ensign Cyrus Trapaud, who received a promotion as a reward. 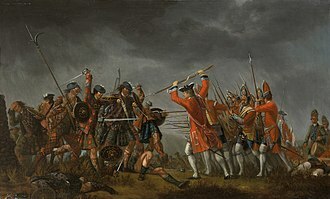 James Wolfe wrote that the Pragmatic first line of infantry consisted of nine regiments of British foot, four or five Austrian regiments, the French infantry followed and they too had initial success, throwing back several British regiments of foot. However, the charge forced the French artillery to stop firing and, with the attack spent and the French out of their defenses, the allies counter-attacked. Ahlden House is a stately home at Ahlden on the Lüneburg Heath in Lower Saxony, Germany. It was built in 1549 as a castle on the river Aller. 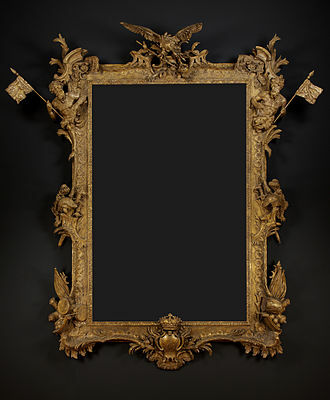 Nowadays the three-winged mansion is a residence and is used as an arts auction house. Opposite the mansion, in a depression on the bank of the river, was the old castle of Bunkenburg which lies today in ruins. 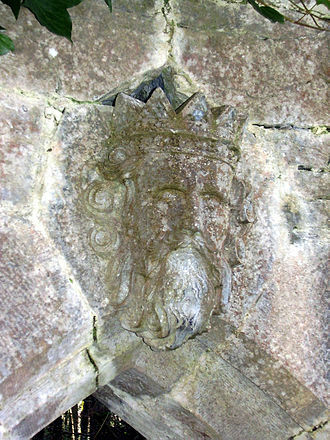 It is believed to have built in the 13th century. 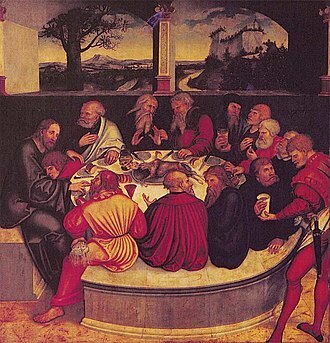 It was established opposite the village of Ahlden on the banks of the Aller. In 1618, during a flood, the Aller shifted its channel towards the east and, as the result of an embankment downstream, since 1648 the course of the Old Leine has become a partly dried oxbow lake. 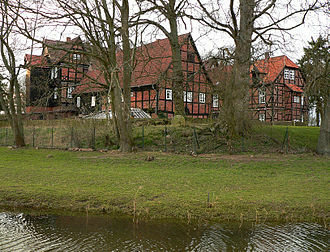 The present house was built in the 16th century on the bank by Ahlden opposite the Bunkenburg. Today it is located on the old branch of the Aller, much of the house is of timber-framed construction, only the ground floor of the west wing being built of brick. 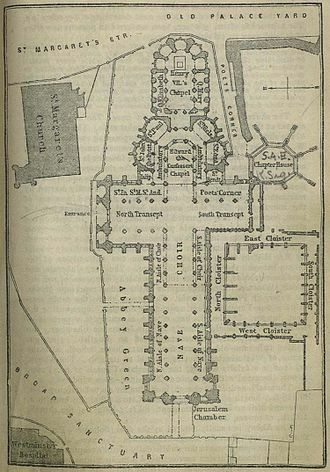 The building today consists of three, two-storey wings in the shape of a horseshoe, which were built in 1549, in earlier centuries the site was, for a time, almost entirely enclosed and had an interior courtyard. 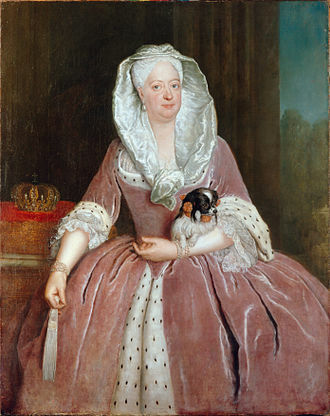 Sophia Dorothea of Celle was the repudiated wife of George I of Great Britain and mother of George II. The union with her first cousin was a marriage of state, instigated by the machinations of his mother. 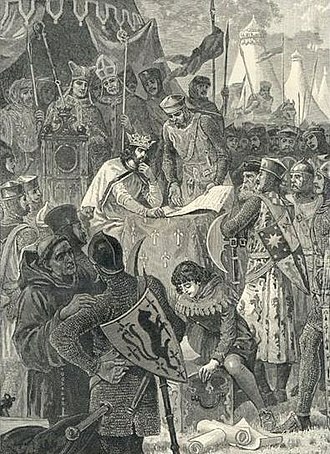 She is best remembered for her affair with Philip Christoph von Königsmarck that led to her being imprisoned in the Castle of Ahlden for the last thirty years of her life. 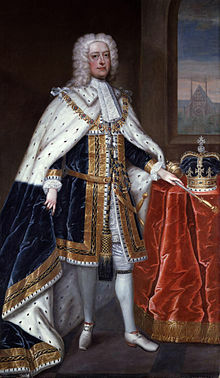 George William eventually married his daughters mother officially in 1676, there was some talk of marriage between Sophia Dorothea and the future king of Denmark, but the reigning queen was talked out of it by Sophia of Hanover. 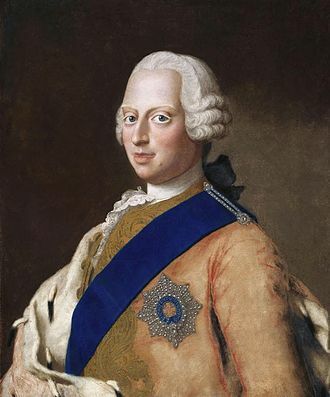 Another engagement, to the duke of Brunswick-Wolfenbüttel, was broken off after Duchess Sophia convinced her brother-in-law of the advantage of having Sophia Dorothea marry her cousin and this occurred on the day the engagement between Sophia Dorothea and the duke was to be announced. 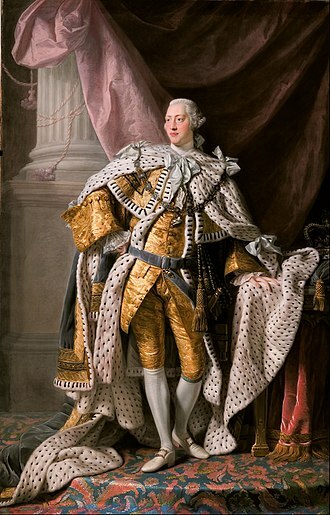 Forced by her father, she fainted into her mothers arms on her first meeting with her future mother-in-law and she fainted again when presented to George Louis. On 22 November 1682, in Celle, Sophia Dorothea married her cousin, the marriage of George Louis and Sophia Dorothea was an unhappy one. 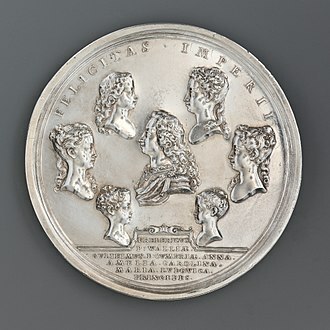 His immediate family, especially his mother Duchess Sophia and despised Sophia Dorothea and he does not care much for the match itself, but one hundred thousand thalers a year have tempted him as they would have tempted anybody else. 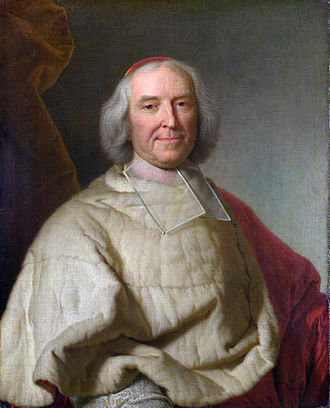 These feelings of contempt were shared by George Louis himself, who was oddly formal to his wife, Sophia Dorothea was frequently scolded for her lack of etiquette, and the two had loud and bitter arguments. 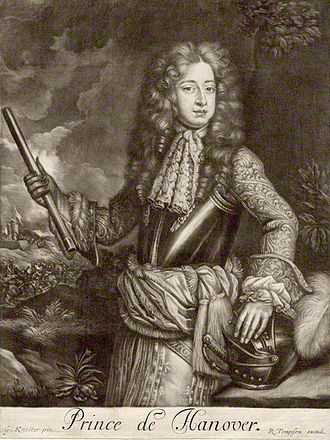 It was in circumstances that Sophia Dorothea renewed her acquaintance with Swedish count Philip Christoph von Königsmarck. The two had first met in Celle when he was sixteen and they flirted innocently, and traced their names on the palace windows with the words Forget me not. 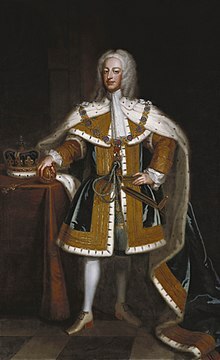 On 1 March 1688 he reminded her of their previous acquaintance, George Louis younger brothers loved the count and brought him to Sophia Dorotheas salon in the evening to cheer her up. 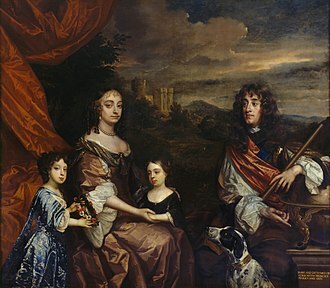 The Prince of Wales, c. 1733, with his sisters, Anne, Caroline and Amelia. 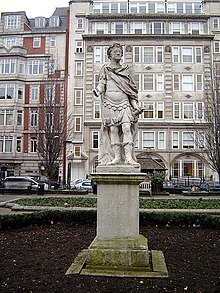 "The Highlanders Medley", or "The Duke Triumphant"
Henry VIII claimed the title "King of Ireland" in 1542.